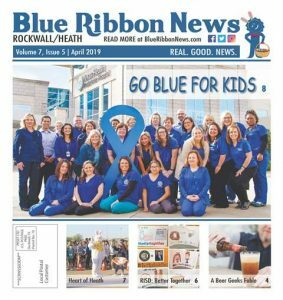 (ROCKWALL, TX – March 29, 2019) Rockwall Pets today announced a community-wide fundraising event benefiting their organization. 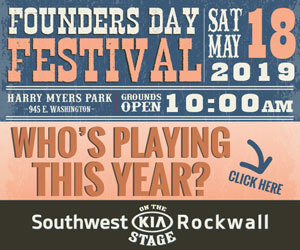 The 6th Annual “Boot Scootin’ Ball” will be 6 to 9 p.m. Saturday, April 13 at Southern Junction. 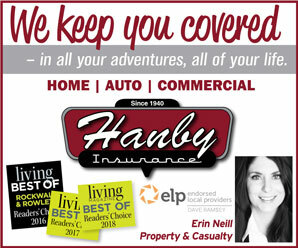 Many generous people and businesses in the community have donated wonderful items for a huge silent auction. There will be a 50/50 cash raffle, chances to win Rockwall Pets merchandise and other prizes, and Southern Junction will donate a percentage of food sales to the organization. 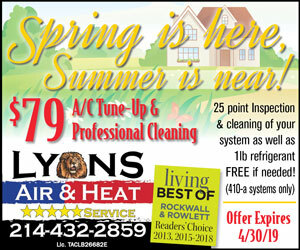 Rockwall Pets has been a community leader since 2010 by rescuing homeless dogs, puppies, cats, and kittens. Rockwall Pets holds adoption events at Petco every Saturday and Sunday and also at the Rockwall Farmers Market in the summertime. The rescue group has no physical location and relies on their all-volunteer staff to house animals through their local foster program. Besides rescuing and adopting pets out locally, Rockwall Pets also has an out-of-state dog transport program. Rockwall Pets has many rescue partners in states like Wyoming, Iowa, Minnesota, and Delaware. These groups wish to help and agree to take dogs from Texas that would otherwise be euthanized due to shelter overcrowding. Through local adoptions and the transport program, Rockwall Pets is by far the leading local rescue group to save the highest number of animals from Dallas Animal Services (DAS). This in turn, has helped DAS achieve a 90%+ live-release rate for their animals even though they bring in approximately 100 animals a day. Rockwall as a community should be very proud to be such an amazing support by donating, supporting, and adopting through Rockwall Pets. 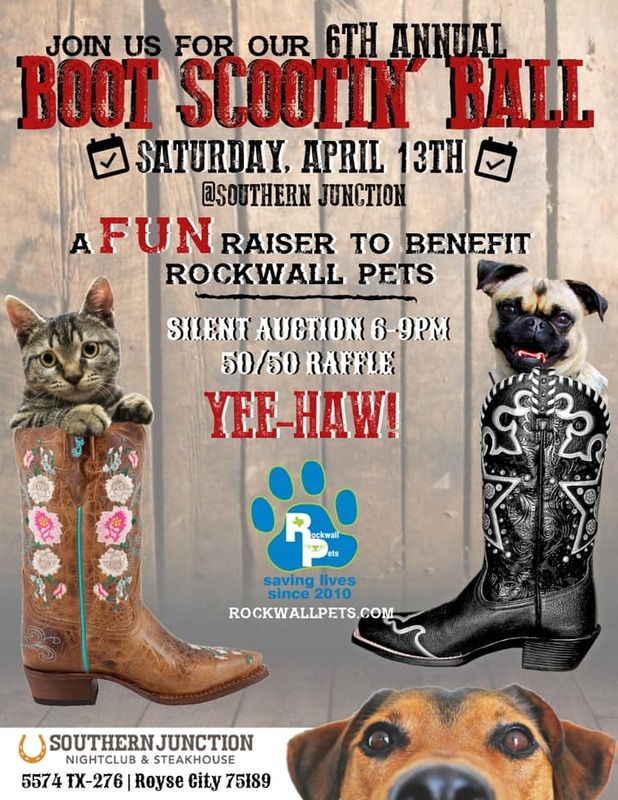 Rockwall Pets invites everyone to their “Boot Scootin’ Ball” at Southern Junction located at 5574 TX-276 in Royse City, TX 75189 on Saturday, April 13, 2019 from 6:00-9:00. 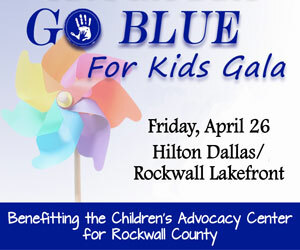 If unable to attend, please consider making a donation, volunteering, or adopting. 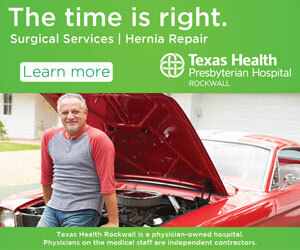 Please check www.rockwallpets.com for more information.